JOIN US SATURDAY DECEMBER 15TH AND CELEBRATE THE HOLIDAY SEASON WITH US! 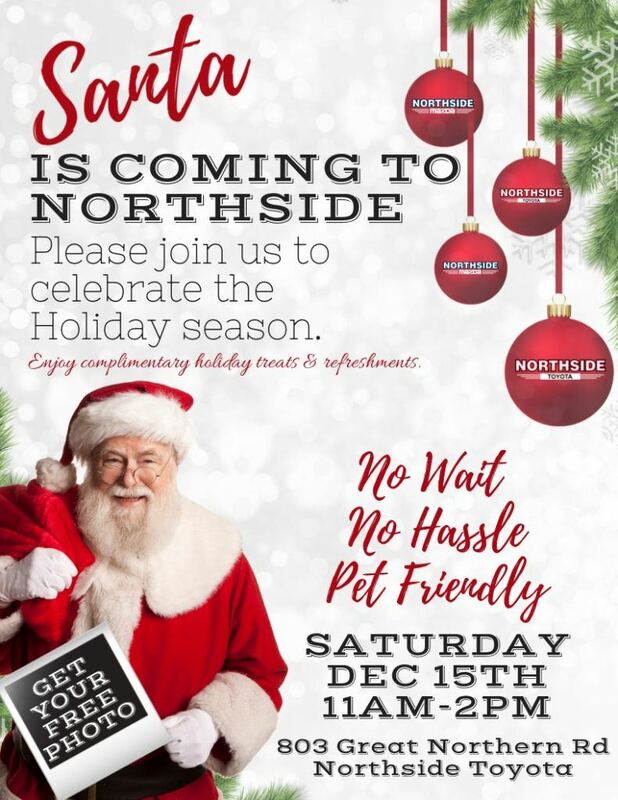 Santa will be at Northside Toyota to take photos with you and your family (even your pets are welcome). We hope to see you there!